Now marks a time when end users are driving the evolution of technology, changing the relationship between people and machines. In 2020, there will be 50 billion connected devices. Things like Blockchain, bot development, virtual desktop infrastructure (VDI), internet of things (IoT), artificial intelligence (AI) and cloud computing are reinventing the way people live and work. At the forefront of some of that extraordinary innovation where technology meets business-optimizing solutions, you’ll find award-winning IT provider, A2U. A2U’s tremendous journey—growing from a home-based, three-person business back in 2003 to now one of only 30 Citrix Platinum Partners in the country— is a remarkable story. A2U is made up of a group of IT’s best delivering on simplified, cost-effective solutions that help companies increase efficiency. While the company specializes in healthcare IT, A2U serves clients across a variety of verticals including education, manufacturing and accounting. 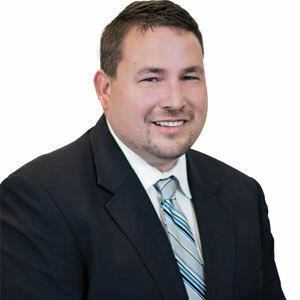 The company provides solutions from one end of the wire to the other—from cloud consulting/integration and IT delivery to managed services, cost analysis and collaboration. A2U’s claim to fame has been its trusted advisor approach and deep, technical expertise. “We always do what’s right for the customer. Our focus is on solving businesses’ problems, not trying to sell them pricey solutions that they don’t need,” says Dan Dillman, CEO, A2U. In 2016 and 2017, A2U was named the fastest growing technology company in Pittsburgh. Following that achievement, A2U scored a top spot on CRN’s National Next Gen 250 list, an honor that’s given to standout IT solutions providers that have successfully transformed their business to meet the demands of emerging technologies. Only two months into the New Year, A2U has already been named in the top 20 Citrix solutions providers nationally and took home the National Citrix Pre-sales Technical Award at Citrix Summit. A Pittsburgh Business Ethics Award finalist and a Platinum Partner of four major tech giants—A2U is arguably in a class of its own. Behind every successful company is a leader who can unlock transformational growth, spot trends and stay current with how times are evolving. It’s no surprise that Dan Dillman was named a winner of the Pittsburgh Business Times 2018 Outstanding CEOs and Top Executives Award. Under Dillman’s leadership, A2U has become an industry-leading IT solutions provider with a track record of producing results. We have a strong knowledge of all the different electronic health records and how to integrate them into the workflow. This is our specialty. Backed by an engineer-first CEO who recognizes the potential of fast growth in a hyper-connected world, A2U is delivering technologies that are shaking up the industry and disrupting status quo. The company strives to deliver an end user experience that makes technology invisible; new technology that is so neatly integrated into the everyday workflow that end users aren’t confronted by complicated, wonky system changes that interrupt productivity. Set out to simplify the end user experience, a foundation partner of the Association for Executives in Healthcare IT (AEHIT), A2U is a clear choice for many hospitals. A2U prides itself on increasing efficiency, enhancing productivity for physicians and healthcare workers. “Healthcare organizations look to us for IT solutions that will help them put their patients first and provide better healthcare. We have a strong knowledge of all the different electronic health records and how to integrate them into the workflow. This is our specialty,” says Dillman. Carving out their path to success, A2U has positioned itself as a national leader in healthcare IT by focusing on key performance indicators that enable a lower cost per patient visit. A2U reduces the time that a physician spends waiting for technology to respond, putting the attention back on the patient. By partnering with Citrix and other leading technologies like Imprivata, IGEL, Cisco and more—A2U solves business problems for healthcare providers and other organizations that struggle to keep up with the constant technological advances, current regulation and data security issues.